Hi everyone, I'm new to this forum stuff. Got the bike, finally got the kit from the guy i bought the bike from. So anyone riding this loooong weekend? Looking forward to hooking up with you all. Gareth, first thing we gotta do is give you a name which isn't Gareth! Maybe something like "He with big ears" or something with a Native American sound to it (man of short cloud. you get the idea). My full name is ("He of crashing gates who talks much crappo"). It seems we are riding this weekend - again - but gonna finalise venue and time in the next day or so so please watch this space. Hippo, Top Shelf, Rooster. Kitty, Lefty - what's the venue? Is Yogi n fam joining us? Busy watching Oscar jousting with Gerrie. Oscar wouldn't be in all this kak if he rode bikes and kept himself busy. I suppose with his mobility issue, maybe a quad is a better bet. Glad you could finally join us! We've all been at Chestnut this past weekend trying out our new (old ) bikes. It was great fun and I'm sure we'll repeat it again soon. Will set up a poll as to when, what and how and take it from there. Rooster and I are in Durbs till Saturday, but there's still Sunday and the Public holiday left. Post some pics of your new baby! We need to meet her. GateCrasher wrote: Gareth, first thing we gotta do is give you a name which isn't Gareth! I totally agree. You have 48 hours before it gets changed for you Gareth. And yes. We are pretty serious about this. Gareth wrote: Hi everyone, I'm new to this forum stuff. Got the bike, finally got the kit from the guy i bought the bike from. So anyone riding this loooong weekend? Looking forward to hooking up with you all. Welcome!! Ill post the Poll on a mo, then lets see who ends up where for the weekend - that's the usual way of figuring out who's going where when. You may want to get a new handle ASAP, Or, I may dub thee Meat@Spur. Perhaps MonkeyGlandRump? Leave it up to you. You can change it yourself or you can ask Admin to do it for you. Just drop Rooster a PM. When are you and your family coming for a ride? Hippo, Lefty and I are confirmed for Rhino this Sunday 20 April. HillBilly - are you joining us at Rhino on Sunday? Top Shelf, what about you? Depends on how strong you are feeling lol. I'll be going to wild West as always if you are keen. Where is wild west rooster? Found it, is it very technical? I still have my trainee wheels on my bike, jokes. Sounds like a plan action man, when and time? There's also a messing around place so if we dont do the Red this could be fun too. See you on Monday Morning there at 7 then? Awesome, see you there @ 7. 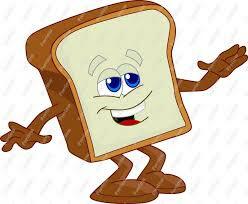 Toast - are you joining us this Saturday morning in Centurion?